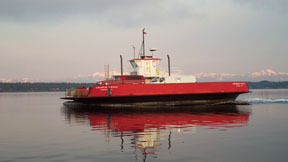 CLICK HERE for printable ferry schedule and loading and unloading instructions. Notes: Herron Island is a private island. You must have a valid guest pass to board the ferry. the owner can provide you with a guest pass.